The European Broadcasting Union have just released the details of the voting split of the recent Eurovision contest. 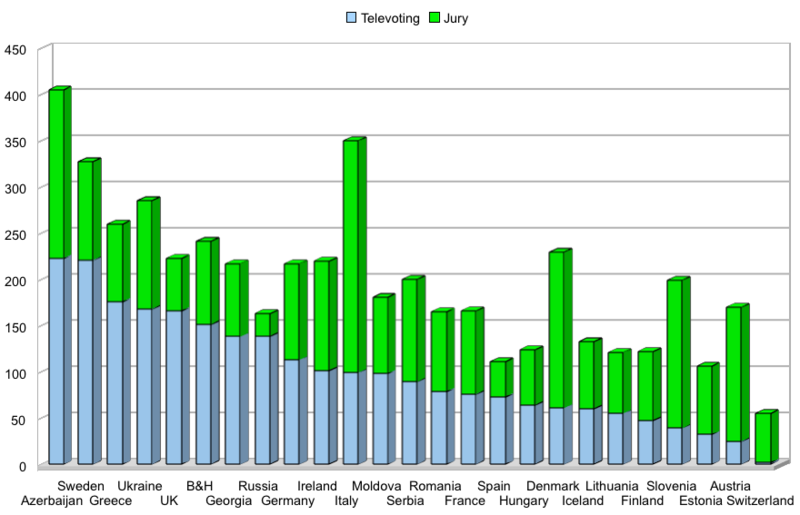 It is clear that they were very lucky Azerbaijan won, given that it was the popular winner, too. If Italy had won, there would have been an uproar today – after all, ten other songs were more popular in the televoting process, so the Italian song really wasn’t the people’s favourite (although I rather liked it). I wonder whether they’ll continue releasing the voting splits, or whether they’ll stop as soon as the popular winner loses because of the juries. 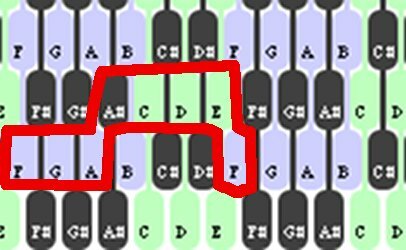 We see that the keys we need to play are F-G-A-A#-C-D-E-F, and you can test that by playing it on a normal piano. Here we are starting on B, which leads to the sequence B-C#-D#-E-F#-G#-A#-B. 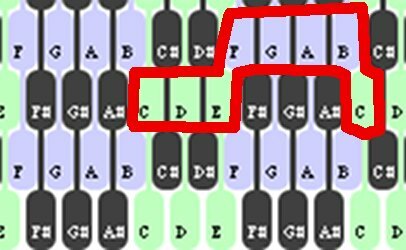 The sequence of keys is F#-G#-A#-B-C#-D#-F-F#. 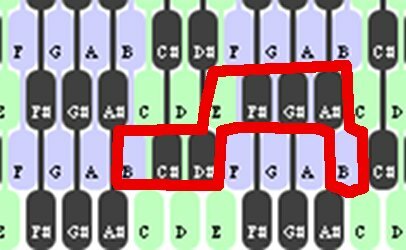 So to transpose a piece on a normal keyboard, all you have to do is to imagine how you play it on a Jankó keyboard, shift your hands and see which keys you’d now be playing, which you can then find again on a normal piano. I am not a musician, although there are plenty of those in my family. I did play the violin for a year or so as a kid, but my piano skills were for years limited to one-finger versions of Incy Wincy Spider and one or two more other tunes. However, a few days ago one of Dougie’s golf friends donated his old Yamaha PSR-530 keyboard to us, which made me study a couple of the GarageBand piano lessons that you get for free with a Mac. After that experience, I felt a bit like I did when I was learning to drive – I kept asking myself why it was designed so badly. 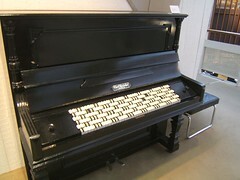 However, a quick Google search taught me about the Jankó keyboard. 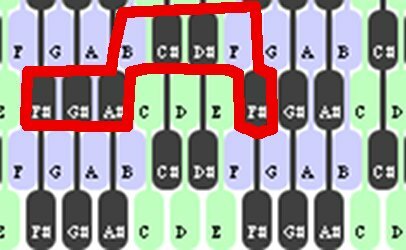 You can read the details by following the link, but basically you can transpose a tune simply by shifting your hands.